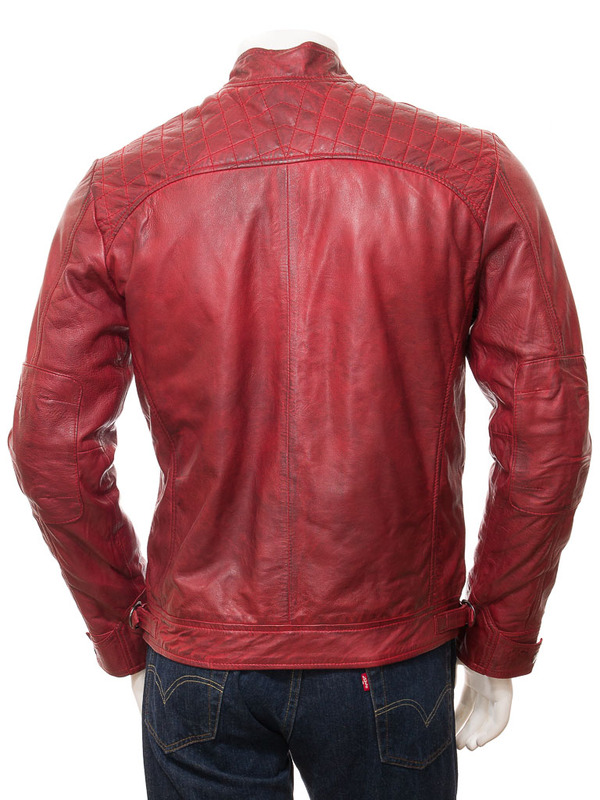 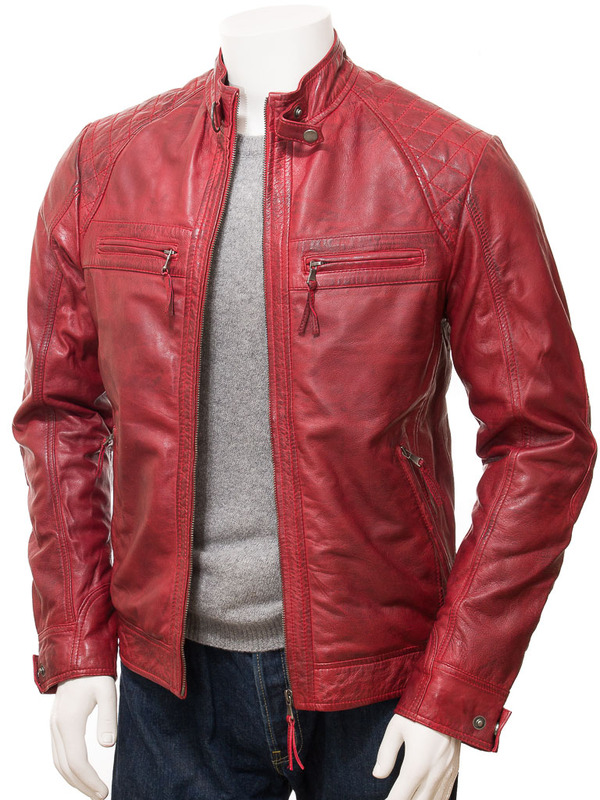 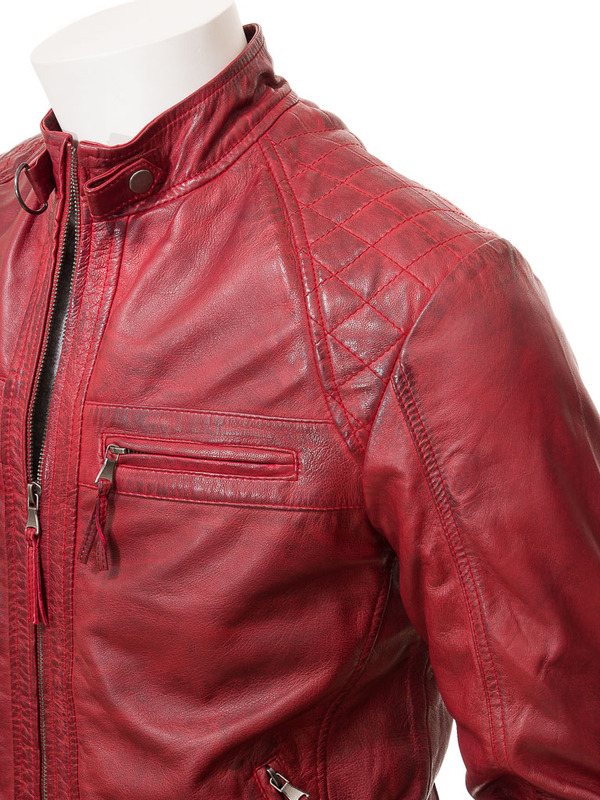 A super stylish red leather biker jacket with classic diamond topstitch detail. 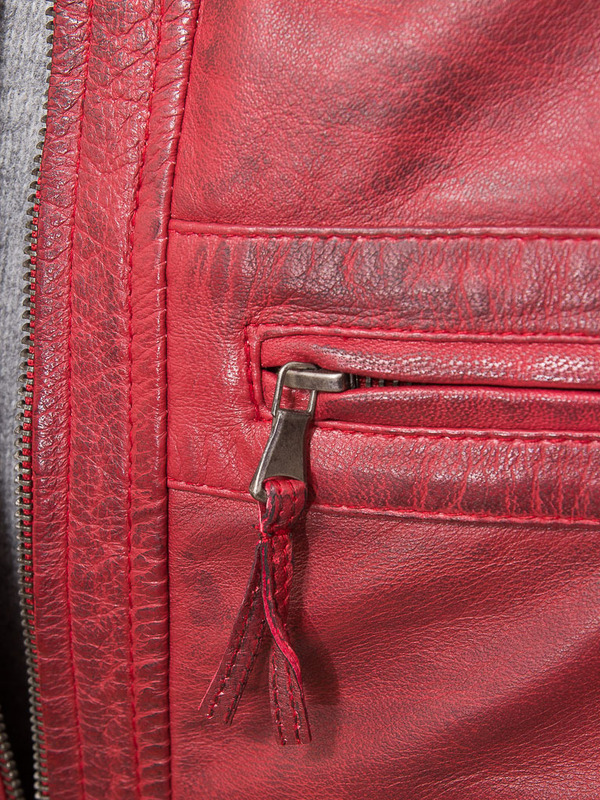 Using a high grade sheep aniline leather, we are really excited about this design. 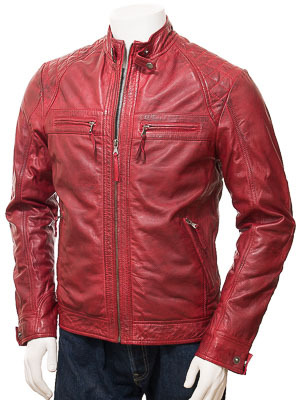 It features a sturdy YKK zip front up to a stand collar with buckle and loop strap to hold it in place. The raglan style shoulder panels are top stitched into a diamond quilt pattern and there are leather panels at the elbow.